Karachi: Pakistan Peoples Party (PPP) co-chairman and former president Asif Ali Zardari got interim bail. Local banking court granted interim bail to Asif Zardari in money laundering case. However, he along with his counsel Farooq Naik appeared before the banking court. However, he granted interim bail on presenting Rs 2 million bail bonds. Asif Zardari granted interim bail for 15 days and the hearing of money laundering case is adjourned till September 4. When Zardari arrived at court, a journalist inquired that why he did not come in a helicopter. 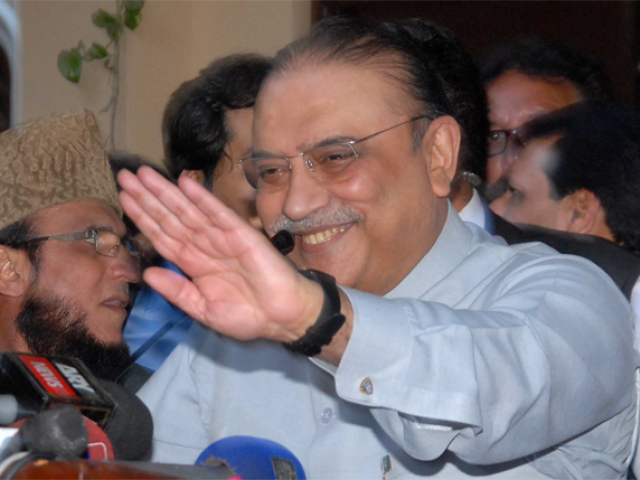 However, Zardari replied with a smile that just wait a little, while he come back in a helicopter. The FIA registered a case in Karachi week ago over money laundering scam worth Rs35 billion. It detained Hussain Lawai, said to be a close friend of Asif Ali Zardari. However, Investigative authorities keep up that 32 individuals, including Hussain Lawai, are under interrogation for laundering billions of rupees through fake accounts.